Pictorella Mannikins-Heteromunia pectoralis-are a very small bird that inhabits the northern part of Australia and likes tall grass! The tendency for them to be found in tall grass is problematic when it comes to photographing them, but thankfully as seed eaters they need to drink a lot of water. 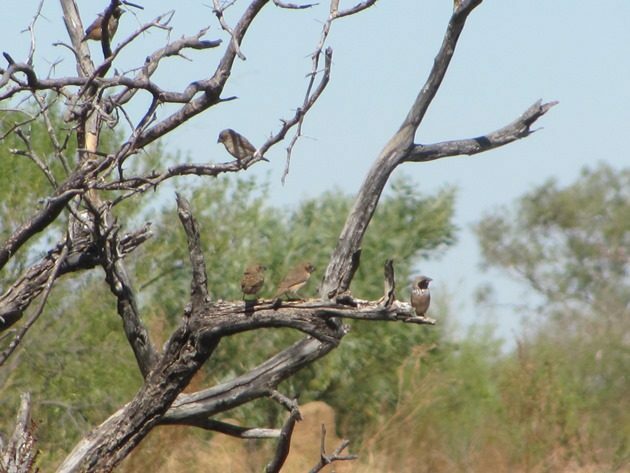 Having found a good place to observe them about forty kilometres from Fitzroy Crossing heading towards Halls Creek a few years ago we have been able to obtain a few photos at the remaining water not far from Outcamp Creek. 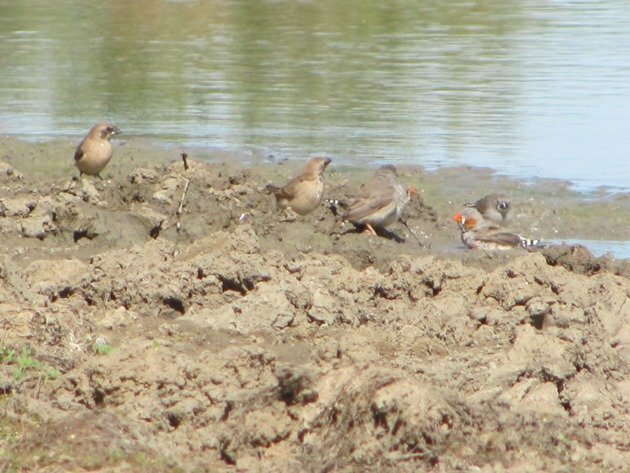 They were in loose association with Zebra Finch and were constantly nipping back and forth to the last remaining water to drink and bathe. 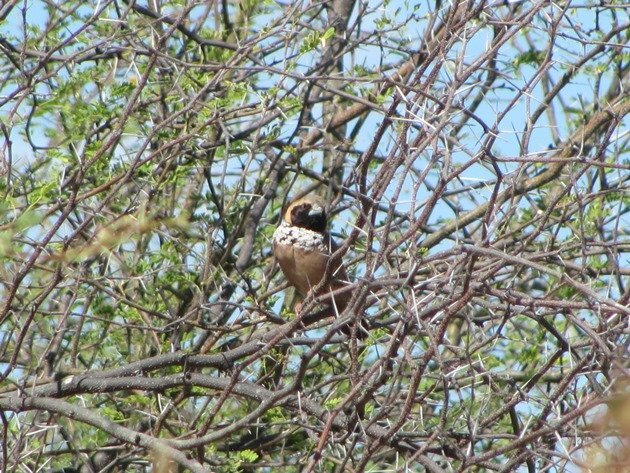 The male Pictorella Mannikin has a very dark head, while the female and young birds are quite dull. Of note are the legs are pink when other mannikins have dark coloured legs. 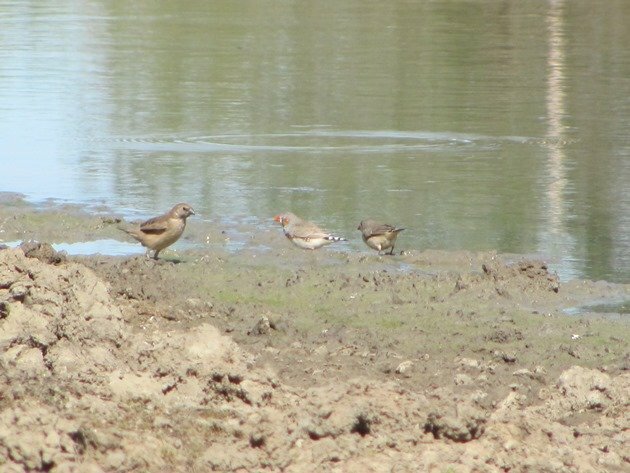 Although the size in field guides is listed as ten centimetres for Zebra Finch and eleven to eleven and a half centimetres for Pictorella Mannikins they do look significantly larger in the field. They were happily bathing together in the muddy water. 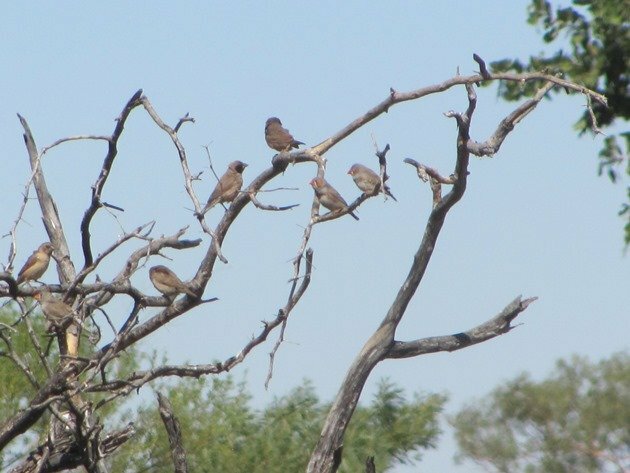 We were sitting watching the activity at the water when I was able to take advantage of the Black-faced Woodswallows in the area and then a male Pictorella Mannikin landed closer to me in a prickly acacia bush. 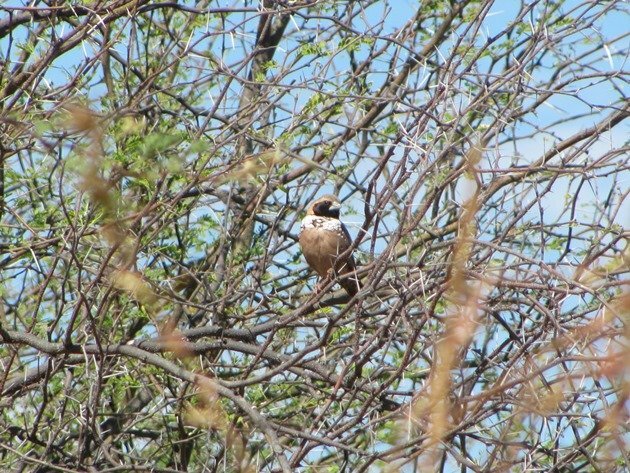 The vegetation was a challenge, but you can clearly see in the following photos the beautiful plumage of this small bird. The black face of the male Pictorella Mannikin is separated from the rest of the body by white scalloped feathers followed by a pinkish colouring below. 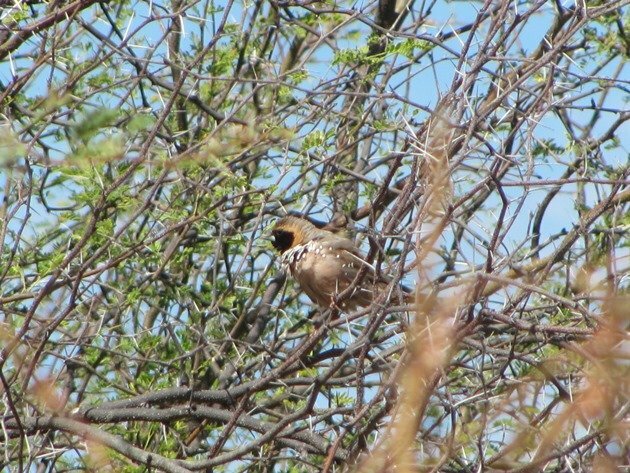 Male Pictorella Mannikin among the prickles! We have occasionally seen Pictorella Mannikins in the Broome area, but generally you do need to travel further north to this area or beyond to find them. It is a fine example of how “brown birds” can be rather beautiful! 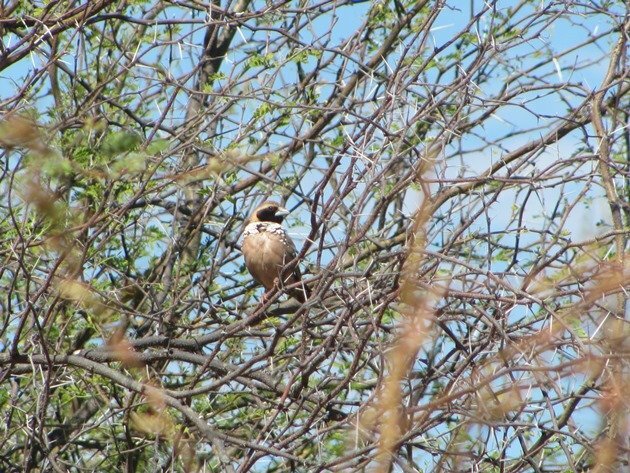 Of course there are also the Chestnut-breasted Mannikins to look out for as you travel north as well.